The 23rd edition is due for release in May. 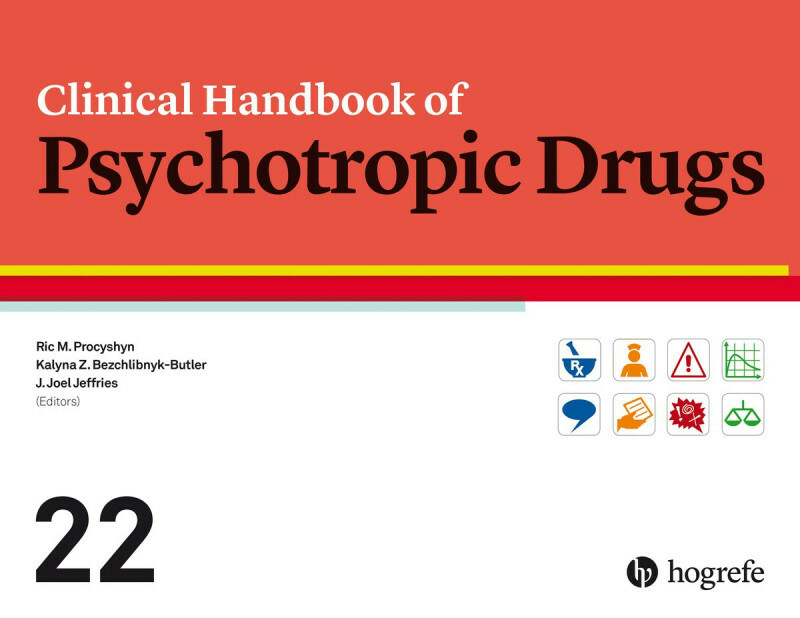 The Clinical Handbook of Psychotropic Drugs has become a standard reference and working tool for psychiatrists, psychologists, physicians, pharmacists, nurses, and other mental health professionals. For pdf patient information sheets click here! This book is a must for everyone who needs an up-to-date, easy-to use, comprehensive summary of all the most relevant information about psychotropic drugs. "The Clinical Handbook of Psychotropic Drugs is a standard reference and working tool for psychiatrists, psychologists, physicians, pharmacists, nurses, and other mental health professionals. The handbook is continually updated and provides current evidence-based and clinically relevant information to optimize patient care. The contents are independent and unbiased, with easy-to-read comparison charts and tables (dosages, side effects, pharmacokinetics, interactions, etc.) providing a quick overview of treatment options." "[T]his book should be on the desk of every physician." "A user-friendly and practical resource guide to using psychotropic drugs in any setting... The handbook is well organized and covers almost every treatment used in psychiatry, arranged by disease state and class. Each medicine or class of medicine is subjected to a thorough review of nearly everything one should understand. It is easy to read and/or reference quick information. The comprehensive information on each class of drugs is what makes this book so useful. As a psychiatrist who routinely prescribes medications, I find this handbook invaluable." "The new edition of this reference textbook about psychotropic drugs remains as useful as ever, and is essential for any medicines information department. It is thorough, detailed and extensive, but the information is clear and concise and the book is easy to navigate because of its consistent, methodical and ordered format. The material is tabulated and clearly displayed throughout using colour coding, icons and symbols, making it simple to use.